For a food that tastes so rich and delicious, avocados are surprisingly good for you with a wide range of nutritional benefits. Here’s six reasons why you should include more avocados in your diet and the little-known ways they can improve your health and well-being. 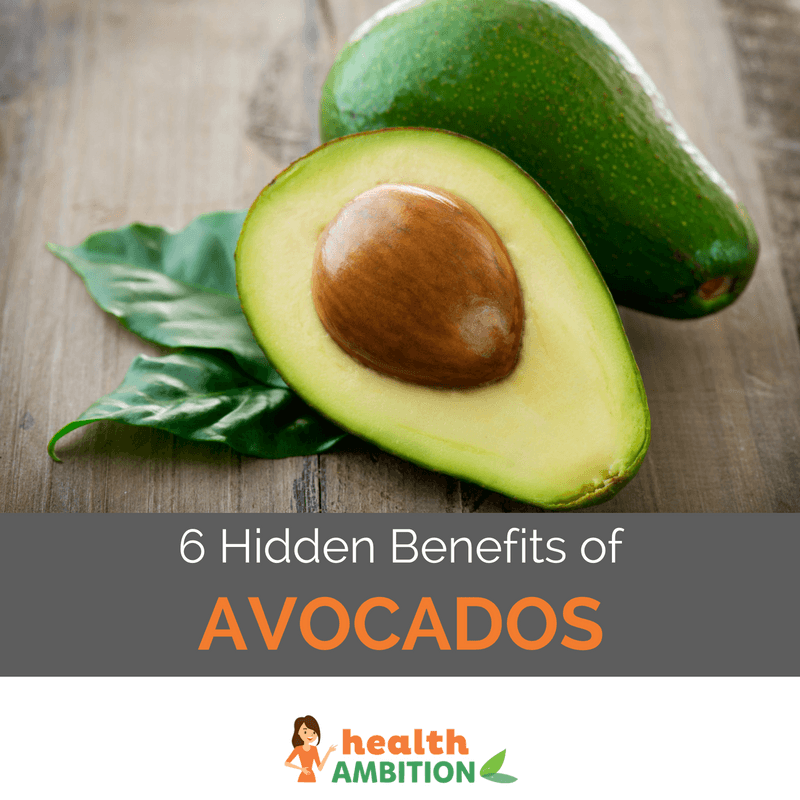 Let’s take a look at the benefits of avocados. Carotenoids are a class of antioxidants that help protect your body from free radical damage that can lead to the visible signs of aging and diseases like cancer and heart disease. Avocados contain a wide range of carotenoids like alpha carotene, beta carotene, beta cryptoxanthin, violaxanthin and neoxanthin. They also have good levels of zeaxanthin and lutein. These eye antioxidants have been shown to be especially good at protecting your retinas from damaging UV and high-intensity blue light that can cause declining vision, cataracts and age-related macular degeneration. Avocado is rich in fat soluble vitamin E that is particularly beneficial for your cardiovascular system. It helps to minimize cholesterol oxidization which is recognized as an contributing factor in strokes and heart attacks.Having high levels of vitamin E in your diet is also good for your skin’s moisture balance and helps prevent fine lines and wrinkles. Vitamin C is found in significant concentrations in avocados and is involved in improving circulation, building up your immunity, reducing inflammation and strengthening collagen, the ‘glue’ that keeps your skin firm and young looking. Quite the big green multivitamin, avocados are also a useful source of vitamin K, necessary for healthy bones, calcium metabolism and proper blood clotting. And they have most of the B vitamins, being especially high in folate, which has an important role in cellular regeneration and has been associated with a lower risk of certain types of cancers. The soil that they are grown in will affect the mineral content of avocados and indeed any other type of fruit or vegetable. This is one of the reasons why organic produce, almost always grown in less mineral depleted soils, are a healthier choice when you can find them. Generally though, avocados are considered a good source of magnesium, manganese, potassium and copper and also contain calcium, phosphorus, iron, iodine and zinc. Even though 100 grams of avocado has around 15 grams of fat, most of this fat content is made up of healthy monounsaturates like omega-9 oleic acid. This is the same type of fat that makes olive oil so healthy, but there’s a good case to be made for avocado oil being even better for you. When used as a replacement to saturated or polyunsaturated fat in your diet, monounsaturated fats, like those found in avocados, have been shown to reduce LDL cholesterol levels for a healthier heart. They are also much less likely to be stored as body fat and are predominantly used a slow burning energy. On a related note, make sure you never cook with extra virgin olive oil. It’s very heat sensitive and will break down into unhealthy compounds when heated to even moderately low temperatures. Avocado oil on the other hand is one of the most heat stable of all cooking oils and is a far healthier option than inflammatory processed oils like soy, corn, sunflower or canola oil. Avocados have another trick up their green sleeves to help reduce high cholesterol – phytosterols. Plant-based phytosterols are similar enough structurally to animal-based cholesterol to block its absorption during digestion. Having avocado with a meal containing cholesterol like eggs or meat may help reduce some of the amount you’d normally absorb. Phytosterols found in avocado like beta-sitosterol have also been linked to a reduction in the symptoms of diseases of inflammation such as arthritis and osteoporosis. Avocados would have to be one of the best tasting high fiber foods around. There’s about 8 grams of predominantly insoluble dietary fiber contained in just a cup of their creamy green pulp. This fiber fills you up, helps regulate blood sugar levels and usually naturally leads you to eat less. Yet another reason why avocados, despite their calories and fat content, can actually help you lose weight when you include them in a healthy diet. 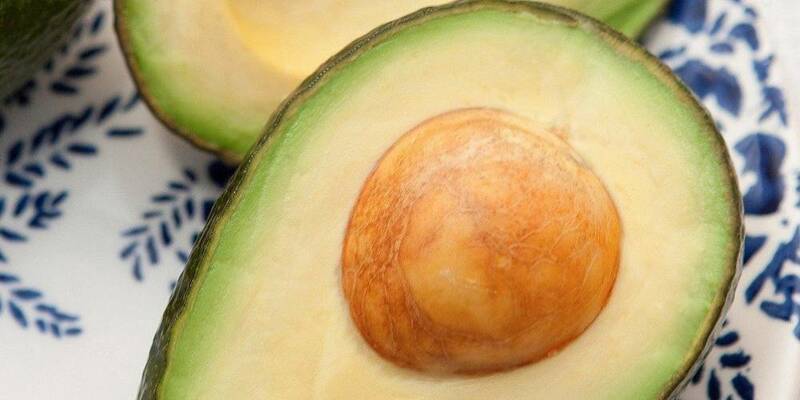 So there’s 6 good reasons to eat avocados more often. The benefits of avocados to your heart, digestive system, waistline and appearance should hopefully help to make a place for them in your next shopping basket.How do you like to eat your avocados? Personally I like them best in a breakfast omelette, added to smoothies for extra creaminess, sliced into salads and chopped up into great tasting guacamole. It would be good to hear some of your ideas on different ways to get more of them into your daily meals. I love raw chocolate avo pudding!! Hi Cyndy. I haven’t tried it but it sounds a lot healthier if it’s made with avocado and cacao than what you’d find in the supermarket. Ive been eating about 4 avocados a week. I usually just eat them plain and add pepper and lemon juice. Delicious. I find it difficult to eat avocados by themselves because they’re really rich, so I’ll usually mix 1/2 an avocado with a can of tuna fish (in place of mayonnaise). Then I season it up a bit and YUM! I eat half an avocado each morning on sprouted grain toast. I lightly sprinkle it with pink Himalayan sea salt. I also make tuna with mashed avocado instead of mayo. I eat my avos filled with small prawns in a Marierose sauce – delicious and healthy?